They copied Squeeze Inn In sacramento. Then I will have to try Squeeze Inn! 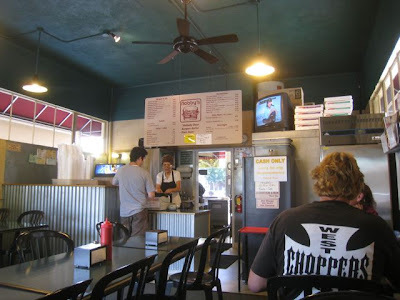 I've had Nobby burgers, best in Chico. 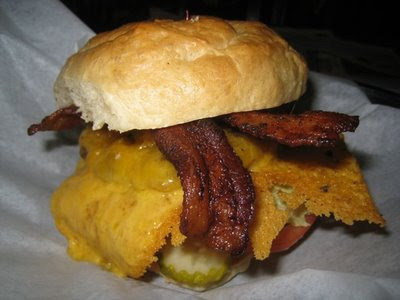 Lookin at the picture of the Burger made my Mouth water!!! I miss them, nothing like Nobbys here in Anchorage. nice. i will have one next time i go to chico! The Squeeze Inn and Nobby's are so similar because the Squeeze Inn was started by two brothers and then one left to create Nobby's. Nobby's is by far the BEST burger I've ever had!! I have eaten a lot of burgers in several states, and Nobby's is my favorite, hands down. It's the only thing I miss about living in Chico. Yes! Nobby's is awesome and so is the squeeze inn, in sacramento. The person who commented was correct that it was the same family that started both places, thats why they have that special cheese! Also I've seen that there is a squeeze inn in Napa as well. 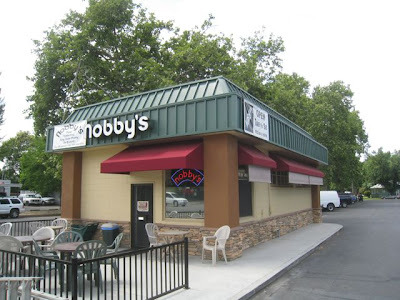 I am going to Chico tomorrow and I have been thinking about Nobby's non-stop. Truly one of the best burgers I have ever had. I LOVE this place!